BASS PLAYERS ARE THE FOUNDATION OF ANY GREAT BAND’S SOUND. They provide the fluid, melodic glue that holds the structure of a song together. Austin basses have been laying down the groove for 20 years. Solidly built from high quality wood and components. We strive to give you the very best we can at an affordable price. Both our APB and AJB Series feature solid basswood bodies, maple necks and techwood fingerboards for warmth and clarity in all performance styles. They also come in great finishes, and feature the fully adjustable bridges, high quality tuners and dual pole piece noise-cancelling pickups that bass players demand. 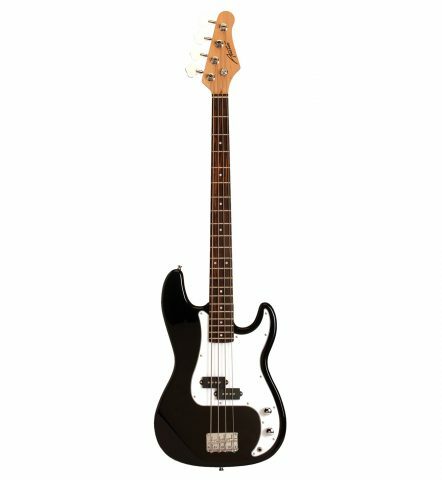 Whether you’re an aspiring player or gigging pro, Austin basses are an excellent choice for any style of music.